Arthritis of the joint occurs when there is loss of the articular cartilage (gristle) on either end of the bones that contribute to the joint. Arthritis can occur as a result of the normal wear and tear, which accompanies ageing or may result through inflammatory conditions such as rheumatoid arthritis. Patients with arthritis present with pain, swelling, stiffness and in late stages deformity around the knee (bow legged or knock kneed). The loss of function can interfere with the normal day to day activities such as walking, climbing stairs and even standing. Patients will often present with pain at rest, pain at night and have a relatively poor pain free walking distance. 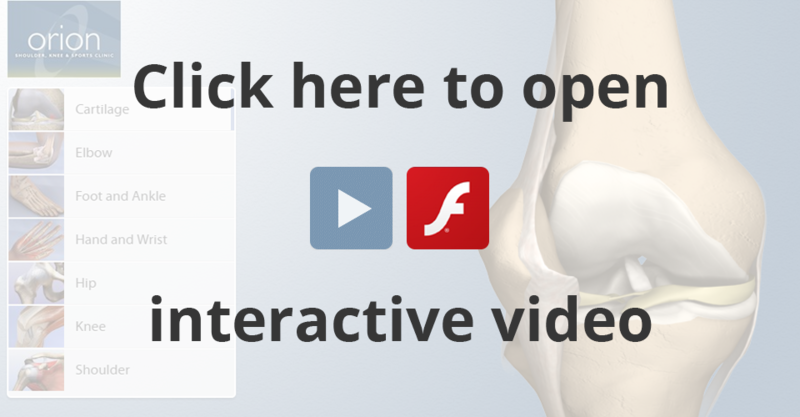 Arthritis of the knee joint can be accurately diagnosed after a detailed clinical examination but may often require further investigation in the form of weight bearing x-rays to determine the alignment of the knee joint. In the early stages of the disease simple non operative measures such as weight reduction, activity modification, the use of non steroidal anti-inflammatories (pain killers) and a well regulated exercise programme could prove beneficial. Physiotherapy also helps improve muscle tone and takes the stresses off the articular cartilage. The sparing used of corticosteroid injections may be useful particularly in the inflammatory form of arthritis. Hyalgen injections (artificial joint lubricants) may prove beneficial in buying time before knee replacement surgery. 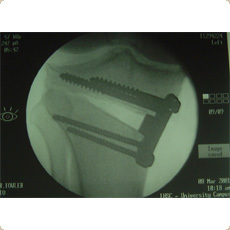 The mainstay of treatment in well established arthritis is joint replacement surgery. Joint replacement surgery involves unicompartmental replacement (replacing only the inner side of the knee joint), patellofemoral replacement (replacing only the patellofemoral joint) or total knee replacement. Total knee replacement surgery is a well established surgical technique and the current survivorship of knee replacement surgery is 95% at around 10-15 years. 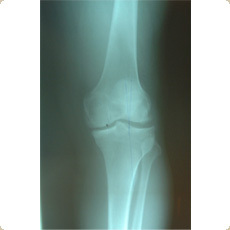 Other developments such as minimally invasive surgery and computer assisted or navigated knee replacement surgery certainly have their advantages and are routinely performed at this centre. If the arthritis is localised to one part of the knee (particularly the inner compartment) and if it occurs in the relatively younger individual (under the age of 50) then corrective surgery may be required in the form of an osteotomy (high tibial osteotomy - HTO).